Coffee filters are versatile for a variety of craft projects. This guide is about crafts using coffee filters. 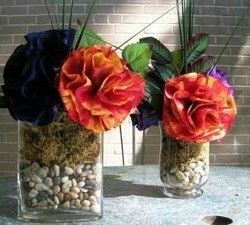 What can you do with coffee filters sizes 4 and 6? Is there any type of craft that they can be used for? I have all these left over filters and I have no use for them anymore, but I really don't want to throw them away. 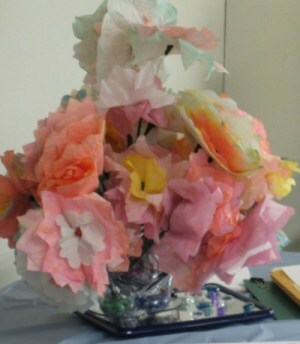 I used coffee filters and made flower arrangements for the tables at a reunion. They went over really well. This is one pic. I've done other colors too. So much fun to do and very easy. Fold and cut the filters, color them and dry them (this take a little time and then attach to sticks or straws and arrange). Cut shapes from white poster board such as a cross, flower, heart. Hole punch the top of the shape. 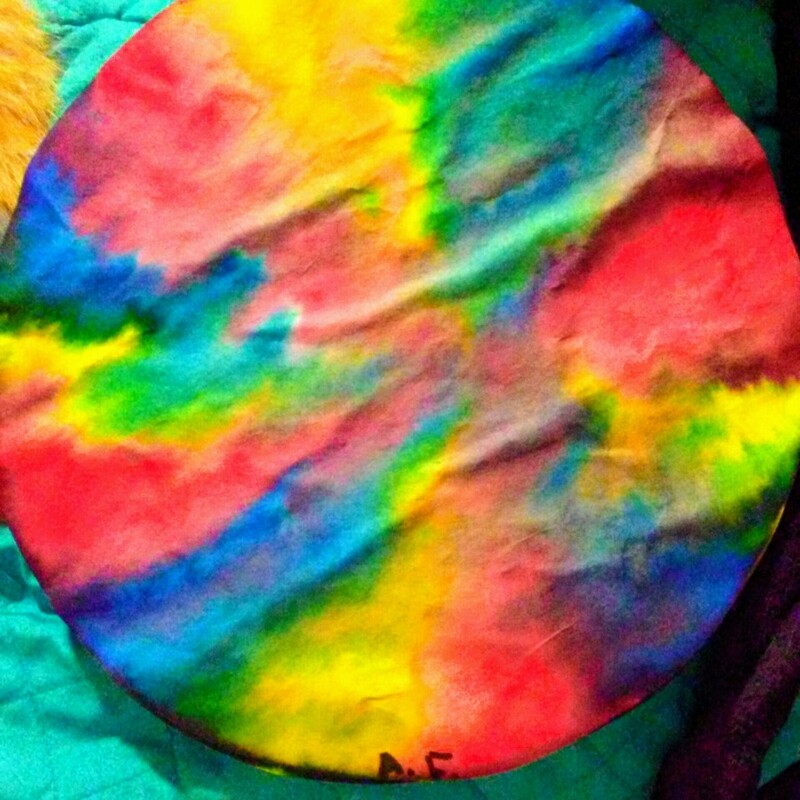 Color the coffee filters with markers. Use a water bottle and gently spray the filter. Glue to the cardboard shape and gently tear off the excess filter. Poke the hole with a pencil and use ribbon or yarn to be able to hang a really cool piece of "tye-dye" art. 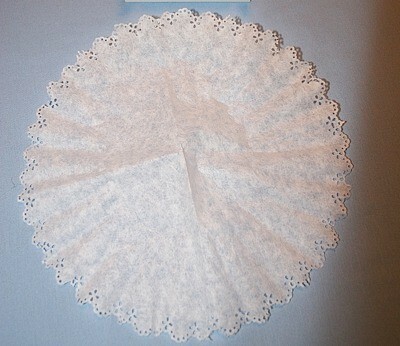 This is a guide about making a coffee filter doily. You can make a quick paper doily from a coffee filter. 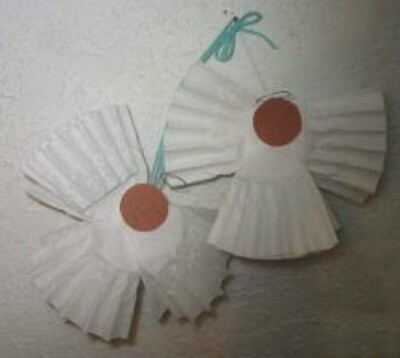 With a few simple craft supplies and white coffee filters you can make these cute paper angels. This is a guide about making coffee filter angels. 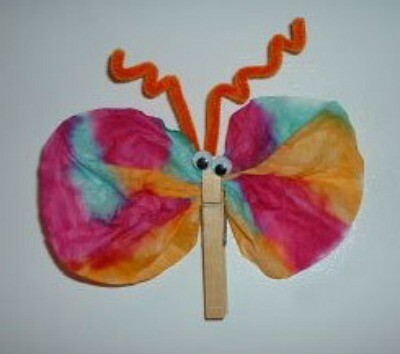 These coffee filter butterfly magnets are an inexpensive kids' craft that your children or students are sure to love. Make several using the instructions on this page. This is a guide about making coffee filter flowers. 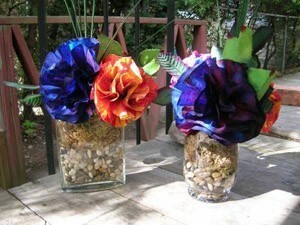 Dyed coffee filters can be made into pretty decorative flowers.